It seems to me that my life's perspective offers three approaches to problem-solving. In problem-solving situations, I am often called upon to make judgements based on my personal views. I have identified a number of possible options, characterized in a most general way. First, I can be complacent about my current outlook. No need to seek any different ways of seeing things. No need to shift my position attempting to gain new insights. Seeing something from a different angle would require me to leave my comfortable couch-potato station. 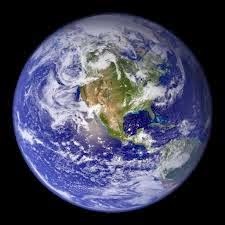 Second, I can attempt to view my situation from afar. I can move back to take in the long distance picture, from a broader perspective. The 1000-mile overview. This approach sacrifices fine detail in the interest of establishing a more holistic understanding. Seen from a distance has its own drawbacks. The broad view tends to overlook what may seem like minor details that get lost in the weeds. We may be missing precious jewels. Third, I can try the reductionist approach. I can take things apart into discrete components, zooming in on smaller and smaller pieces, attempting to analyze each of them individually, assuming that the sum of all the parts can effectively characterize the whole system. Reductionism has been my propensity from the beginning, and it got me into a lot of trouble. I would determinedly disassemble complex things, to find out how they work. 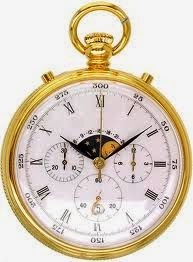 I repeatedly discovered that holding the discrete parts in my hand did not always contribute to a more holistic understanding, and would generally then be faced with the dilemma of how to put the watch back together - most optimally, it might even work again. 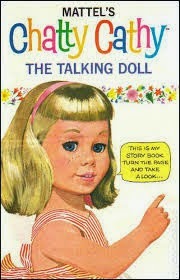 After inflicting major trauma on a series of Chatty Cathy dolls, I did uncover the secret of the talking dolls. But my sister has never forgiven me. The trouble with deconstruction is that it tends to be destructive. It might generally fit the wry observation that the operation was a success, but the patient died. Such reductionist exercises tend to render the inquiry moot. 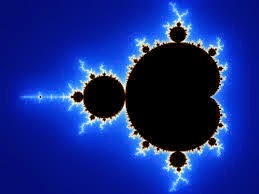 As it happens, the problem-within-a-problem is illustrated in the fractal image called the Mandelbrot set. Given any particular point within the graphical rendering of the Mandelbrot, zooming in further only results in a different view, of equal complexity. In this instance, application of reductionism does not resolve anything. I have also rediscovered a number of times that the complacency approach has drawbacks. 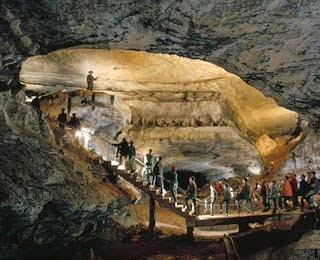 One of the most memorable illustrations of this idea was presented during a tour of Mammoth Cave, in Kentucky. The tour guide was delivering his spiel during our tour. He mentioned that at one time, the region was dotted with private caves, fostering a competitive spirit between the cave venues to attract tourism. One of the inventive methods for promoting a particular cave was to assign various different names for the same cave feature. Then as the flocks of tourists were led on their ooh and ahh tours, the guide would bring them around on a circuitous route to view the same feature from a new angle, introducing it with a different name. Apparently few tourists ever caught on to the trick. But we seldom give credit to the fact that considering something from a different aspect sometimes gives a very different perspective. No particular point of view tends to me more "true" than another. 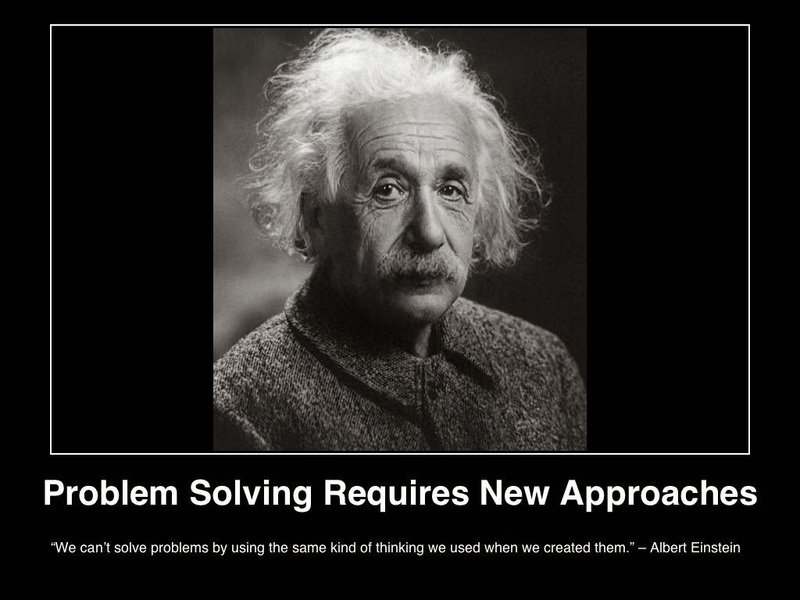 As it turns out, for general problem solving we use all these methods. The degree of scrutiny needs to fit the scope of the problem. There are superficial matters that can be disposed of with hardly a glance. Then there are cosmic questions that merit long and intensive inquiry, problems that will never be completely solved.